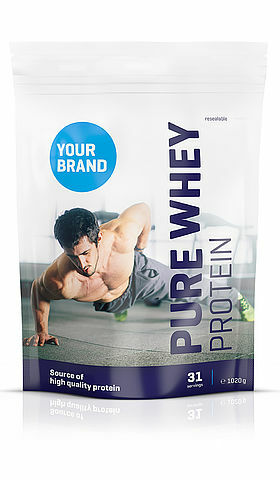 High quality protein powder in various recipes: find your perfect private label product solution with us. Proteins are so called macronutrients and are the main building block in almost all of our body structures. However, protein and protein is not always the same. Proteins can have different origins and different biological values. Milk and whey proteins, meat, eggs, caseins and soy are some examples of protein supplying foods. The body can absorb some proteins better than others. The biological value of a food gives information about this by expressing how much protein the body can synthesize from every 100 g of consumed protein. In general, the body can better absorb proteins from animal sources than proteins of plant origin. For a well balanced diet, it is recommended that animal and plant proteins are combined. We apply this principle in the development of our high quality protein powders. Good to know: the biological value does not reveal how easily a certain food can be digested. 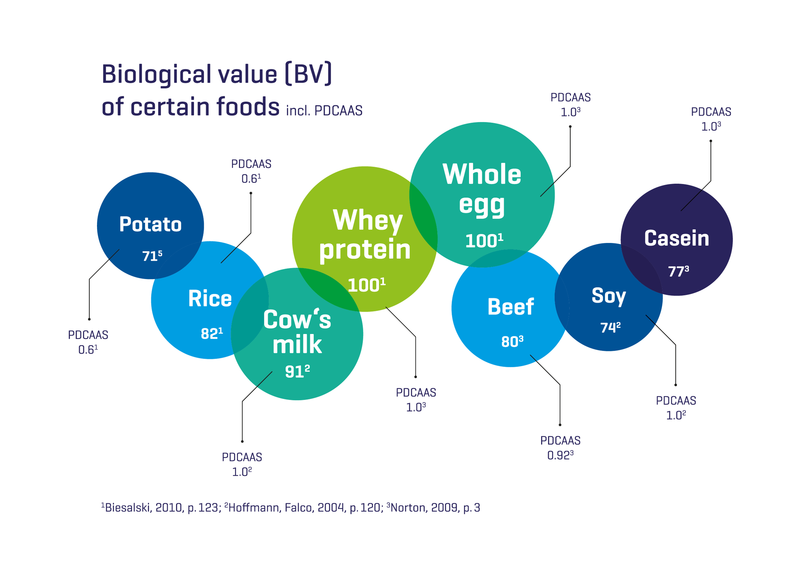 This is the reason why the World Health Organization (WHO) recommends using the PDCAAS value (PDCAAS = Protein Digestibility Corrected Amino Acid Score) for determining the protein quality because this value reflects the digestibility of a protein. We are an experienced private label producer for protein powders and offer various recipes for your products in different flavors and variable compositions. The combination of proteins from animal and plant sources in our protein powders contributes to the growth, maintenance and restoration of muscles. This is perfect for athletes whose aim is to support their exercise as much as possible with a healthy diet. We are looking forward to developing new recipes together with you. Use your own protein powder creation for a varied product range.